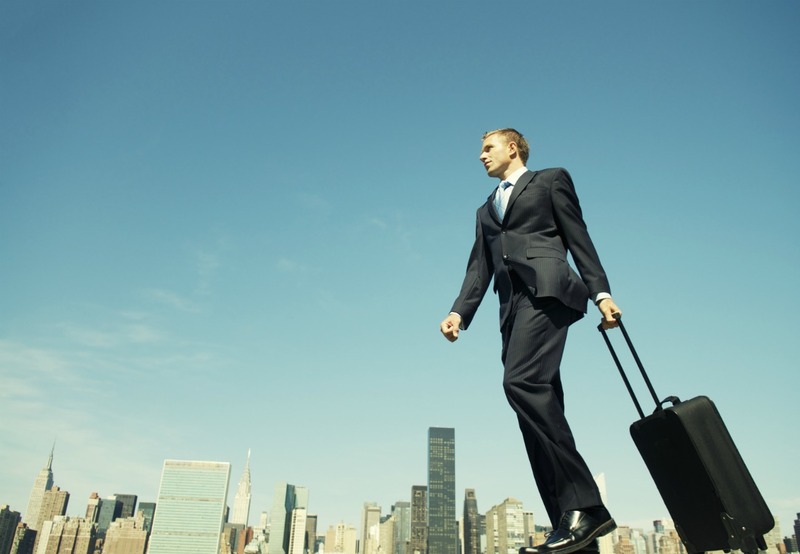 How can business travellers make most of their time abroad? And what can travel managers do to promote their employees’ productivity on business trips? Stepping out of the airplane, taking in that distinct breeze of a brand-new city and getting beyond excited – moments many vacationers can relate to. Business travellers, not so much. While vacationers still feel that tingle while approaching the baggage claim, many business travellers already concern themselves with some stressful questions. Which meeting is first? Where is it and how do I get there? Not having that feeling of arrival, a peace of mind, doesn’t necessarily make that big of a difference. High productivity, however, might not be a probable outcome. In the mentioned situation, business travellers are likely to order a cab via MyTaxi or Uber. It’s fast, easy and convenient for them, however, it might not be for their employers. When it comes to travel expense reports and cost control, employees taking up offers by the sharing economy might mean more work for travel managers. To avoid extensive spending and confusion in the long run, travel managers should prepare their employees by addressing some productivity-related topics. There are several travel hacks business travellers and employers alike are better off with – reducing stress while increasing productivity on the road. By using Chrome Remote Desktop business travellers can keep tabs of their work while on the road. The software allows them to log on and use powerful office computers from a travel-friendly, light tablet or low-powered laptop. Ultimately, expensive, sensitive equipment is kept at a safer place. To increase productivity on business travels, using time to socialize as well as to rest is an important factor. Besides, Sarah pays attention to saving time slots for working out to keep a balance between meetings and exercise. “I especially notice my productivity rate going down, when I don’t attend to bodily exercise”, explains Sarah. Indeed, bodily health and productivity are tightly connected. Travel managers can promote both by e.g. including hotels which offer gyms in their guidelines. Additionally, it might be worth addressing topics like healthy nutrition or fitness applications such as freeletics. Productivity on business trips is also a question of the right (mobile) technology. Since certain apps take over annoying to-do’s or simplify navigation abroad, employees can save a considerable amount of time – which they can, in turn, invest into business-related tasks or use to rest. Expert business travellers don’t check luggage. They rather save time with a carry-on and avoid the risk of losing their bags. Users of apps like DUFL or AirPortr (only via London) prefer travelling without any luggage at all: they simply choose travel items in their virtual closet and let DUFL handle everything from packing to shipping. According to the company, this saves travellers three to five hours per trip. Since employees don’t know their way around in foreign cities, not only transportation costs but the amount of money spent for subsistence increases. The gastronomy-centered app The Fork by Tripadvisor guides users to the best spots for meals – at the best rates. Besides displaying special offers and discounts, users can directly book a table. Meanwhile, around me not only shows surrounding restaurants and cafes, but basically any facilities that may be of use to travellers, such as ATM’s, postal offices and dry cleaners. In order to avoid pricey cab fares, business travellers are in need of tools, which help them navigate through the often confusing local traffic of metropoles. Moovit serves as a global guide for public transportation and gives live information on e.g. busses, subways and walking distances in over 100 cities. Navigation might sometimes be hindered by language barriers as well. The Google Translate App aims to eliminate these even faster by providing an even smarter function: when encountering an unclear sign, users can simply take a picture of it within the app. It then scans and translate the included words. Concerning getting to the next meeting by foot, MAPS.ME is a safe bet. It allows users to download maps to make sure that they can always access them and be on their way. Not being dependent on mobile internet, however, is usually the exception when travelling for business. Having access to a fast connection when needed is essential – that is, not only for the traveller himself or herself. Supervisors and colleagues at the firm’s offices, too, depend on staying in touch for updates. You can read more on this topic in our article “5 ways to increase connectivity during business trips”. Vorheriger Beitrag Business trips to the USA – What do I need to consider?